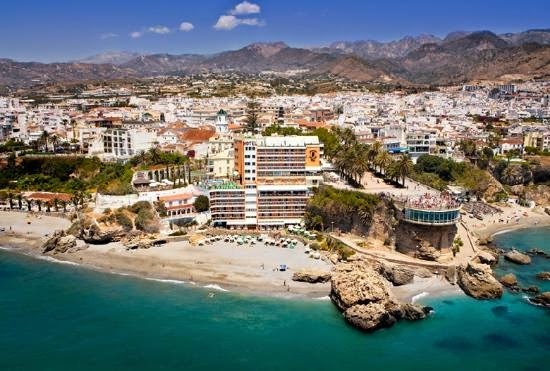 Nerja is Only a Small Town, but is One of Southern Spain's Most Popular Tourist Destinations. Nerja, in Andalucia in southern Spain, is only a small town but is a popular destination for tourists to the Malaga area. Built on a hill, Nerja is a traditional Spanish town with a wonderful atmosphere, beautiful surroundings, 12 kilometers of beaches and some fabulous places for walks. Add in the fun shopping and great restaurants, and it's no wonder Nerja is loved by hundreds of thousands of visitors, many of whom make repeat visits every year. For a small place too, Nerja has alot to do. But, on any visit to Nerja, there are five must do and see things every visitor to the town should not miss. Visit Nerja's Market - One of the most fun, must do things in Nerja is to shop at the town's street market. Held every Tuesday and Sunday mornings, it starts up at around 9am and runs through until 2pm. The Tuesday market is the typical Spanish market, chockfull of fruits, vegetables, fresh bread, nuts, olive oil, pasta, meats and fish, plus some stalls selling clothing and accessories. A great place for bargains, particularly if you're on a self-catering holiday and making your own meals. You'll find the freshest food in all of Nerja here. The Sunday market in Nerja is more of a flea market style, so this is the place to shop if you're looking for something unique or that's not just food stuffs. Take plenty of money, watch your wallet from pickpockets, and don't forget to bargain. Browse at Mercadona - Nerja has five supermarkets and Mercadona is one of them. If you don't live in Spain, but want to know about the types of things Spaniards eat and drink, then head to Mercadona and browse. You'll find just about every food and drink item you could want, fresh meat, chicken and fish, cheap wine and beer, excellent cheeses, and don't miss the Mercadona brand chocolate. It's wonderful. Just remember, it is Spain, so while it's open late into the evenings most days, Mercadona is closed on Sundays. 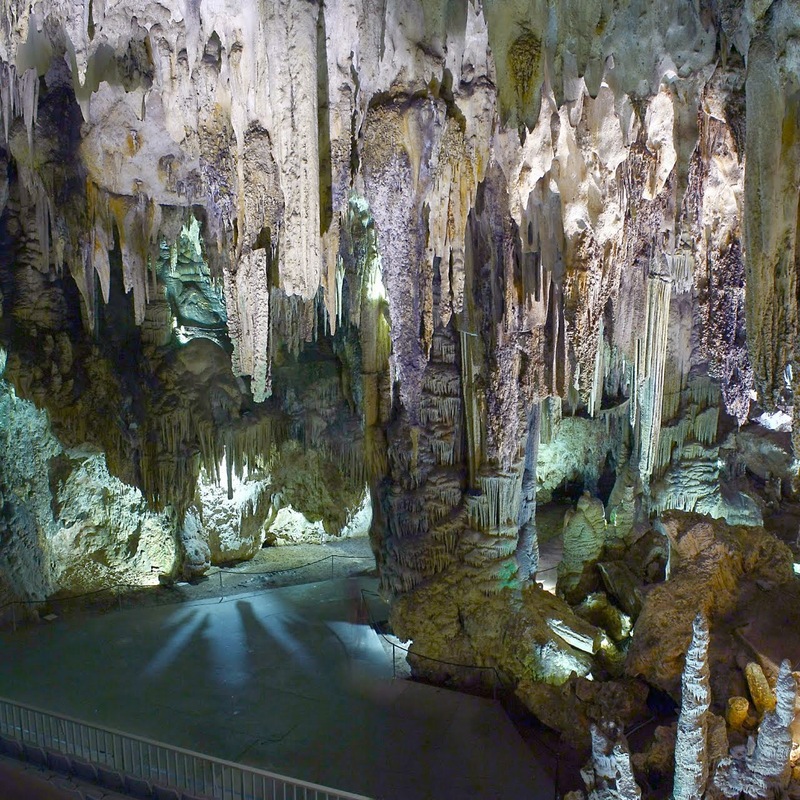 Cuevas de Nerja are Nerja's limestone caves and are quite phenomal, so a definite must visit. Massive stalagtites and stalagmites appear throughout the caverns and, at more than 5 kilometers long, are one of Spain's major tourist attractions. In fact, they're so big, several times a year there are concerts held here. Don't miss the skeleton near the entrance too. The Balcón de Europa in the middle of Nerja's old town is the town's main meeting point and is the place to go for some truly spectacular views out over the ocean. Apparently, people who have stood on it and gazed around the magnificent vista have exclaimed "This is the balcony of Europe", thus the name. Coffee on The Promenade - Nerja's typically Spanish promenade gives you ocean views and lots of superb cafes and restaurants, where you can relax over a cafe con leche and watch all of Nerja walk by. Take a walk, have a sit, grab a coffee. Walk some more, find another restaurant, eat lunch, watch the people. It's absolutely beautiful and one of the most interesting places in Nerja, particularly during the summer when artists, street vendors and musicians line the area. The traveling experience from Ibiza the next step Formentera! 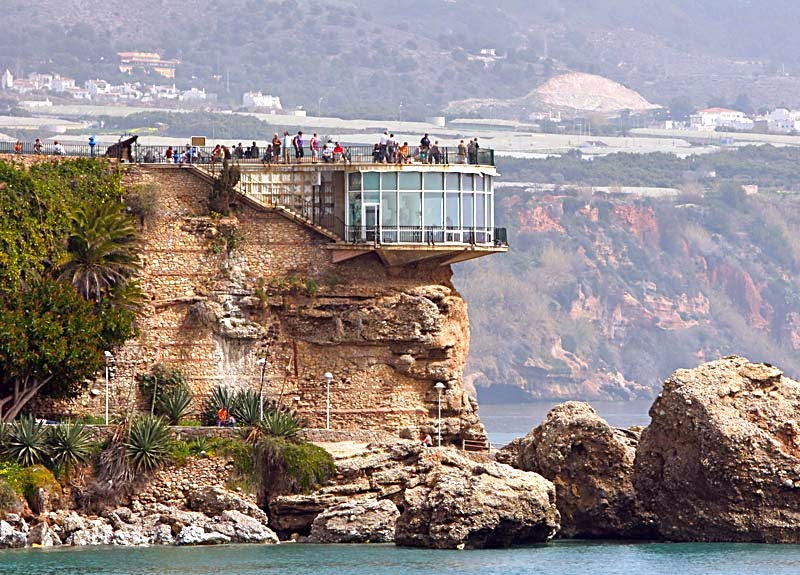 © Spain Holidays 10 2013 .